When humans are around pets are exactly what you need them to be: Friends, family and mutual fun times. But what happens when the owners go away to work and leave their pets home alone? Well, that’s when the real parties start. Movies, video games, real food, music and parties, and nothing is off limits. Enter Max (Louis C.K. ), our little terrier, who suddenly has a new roommate: A stray named Duke (Eric Stonestreet), who’s large frame takes up too much room, and demeanor steals the attention of their owner Katie (Ellie Kemper). So Max sets about causing some trouble, trying to drive Duke out of the apartment. But when they get caught by animal control, without their collars, they need to go on a mission to get back home safely and avoid the rejected animals (rabbits, crocs, snakes…) and crazy wildlife (hawks…), all while their neighborhood friends (dogs, cats, hamsters, birds…) are there for the lifesaving adventure. 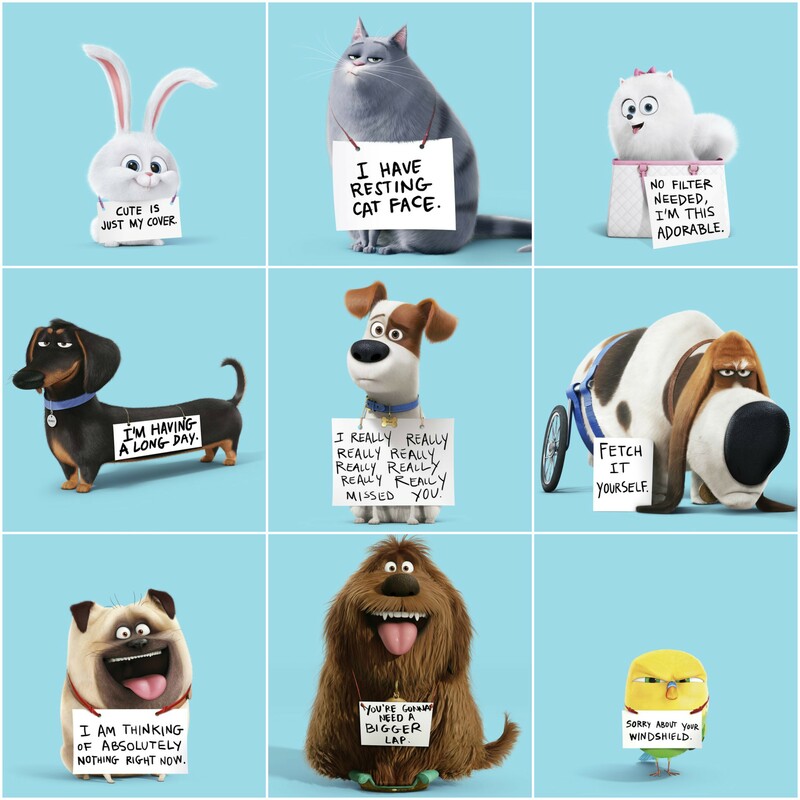 In the midst of the movie there seems to be a Sausage Party teaser, which was a little weird, but the Sing! ads on the side of NYC buses seems like a nice touch to help promote other Illumination movies. 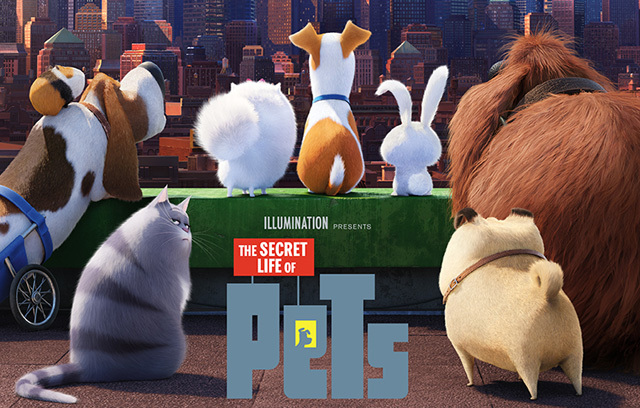 This movie is fun, but falls far short of Zootopia, and gets a 7 out of 10.